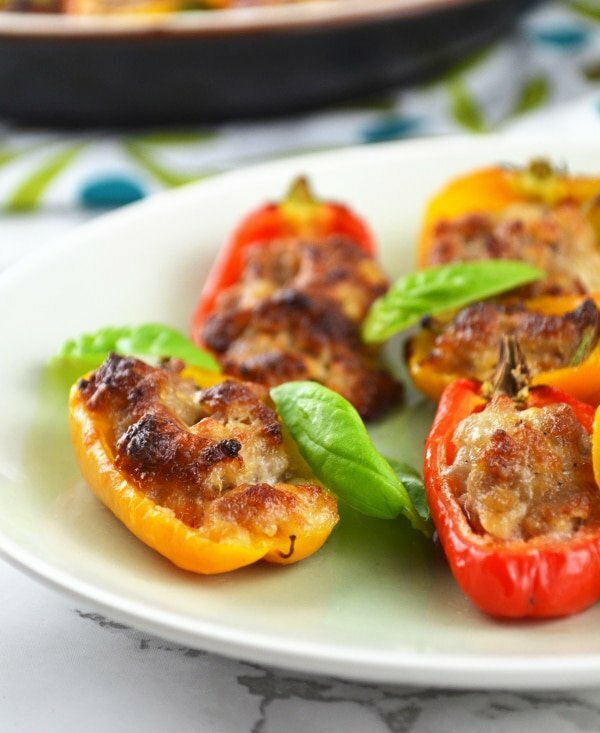 These Sausage and Stracchino Stuffed Sweet Mini Peppers are so utterly delicious, brightly coloured mini peppers with a cheesy, Italian sausage stuffing. A perfect antipasto with a glass of red wine! It definitely feels like Spring is right around the corner here in Italy. It’s slowly but surely getting much warmer through the day, the sun is shining and blue skies are now on the daily. Olive trees are getting pruned and the first flowers buds are even starting to open. When Springtime arrives the much loved ‘apperitivo’ can now move outdoors (still wrapped up in winter coats of course) to soak up every last little ray of sunshine. 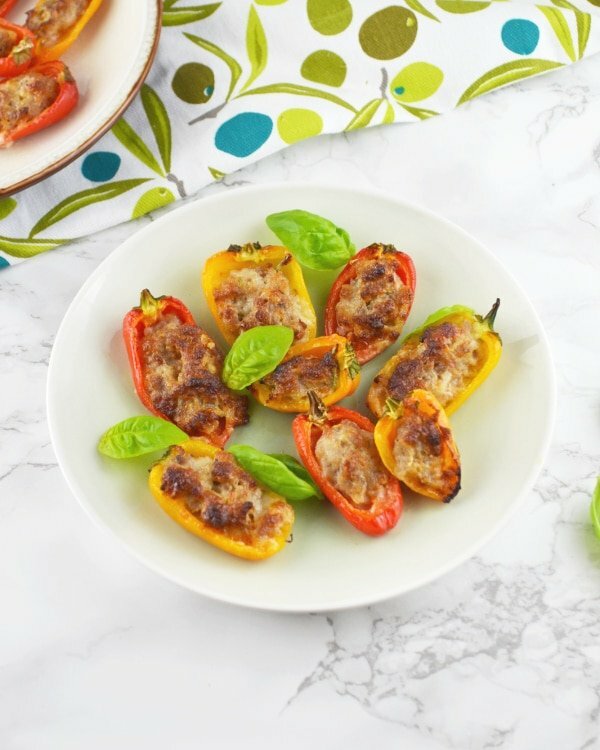 I’m so excited to start enjoying the garden again, plant some beautiful flowers and herbs and sit out and relax with a glass of vino and a delicious antipasto such as these sausage and stracchino stuffed sweet mini peppers. I love the beautiful bright colours of these mini sweet peppers, bright orange, yellow and red I had to buy them as soon as I saw them and I knew they’d be so delicious stuffed with a much loved Italian combo of sausage and stracchino. Stracchino cheese also know as Crescenza is a lovely creamy, soft, spreadable cheese that has a delicate, lemony taste. It’s delicious spread on fresh crusty bread, made into sauces and my favourite way, mixed with Italian sausage, spread on bread or stuffed in mini peppers and baked. These are such a simple antipasto to make. One Italian sausage is mashed together with stracchino cheese and a little rosemary and pepper. Italian sausages are generally already seasoned well so no extra salt is needed in the mixture. 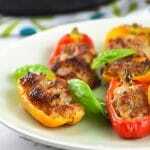 The mixture is then stuffed into the little sweet mini peppers and then baked in the oven for 15-20 minutes. 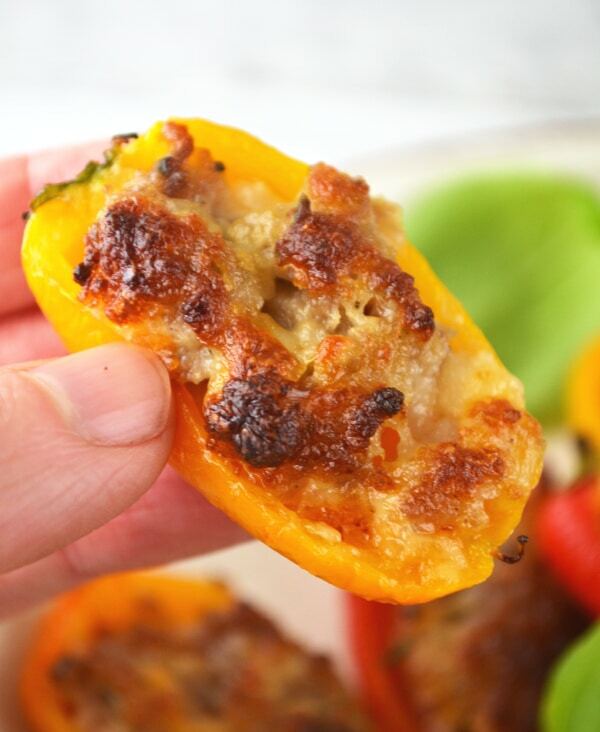 These stuffed pepper bites are best eaten straight away, warm out the oven. Preheat the oven to 180°C/350F/gas mark 4. Cut the mini peppers in half and remove any seeds, place on a lined baking tray and set aside. Take the sausage out of it’s casing and place in a bowl with the stracchino and rosemary. Mash everything together until evenly combined. Stuff the mini peppers with the sausage and stracchino mixture then bake in the oven for 15-20 minutes until browned on top and cooked through. These would be great for parties! SO cute! And they look so tasty too! All about this low carb, high flavor life. Saved! I can see how theses colorful and tasty beauties would be a favorite! What a lovely, easy little appetizer! I agree with you, whenever I see these little peppers in the market, I can’t resist picking them up! Thank you! The supermarkets in Italy are like a fun park to me haha! I can see how these would be a huge hit at my next cocktail party. 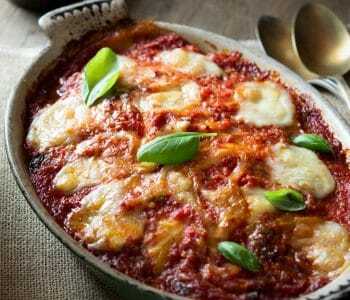 I have never used strachinno cheese but it sounds divine! It really is and mixed with sausage is such a classic combination here in Tuscany, you’ll love it! Stuffed peppers are such a nice little party food. 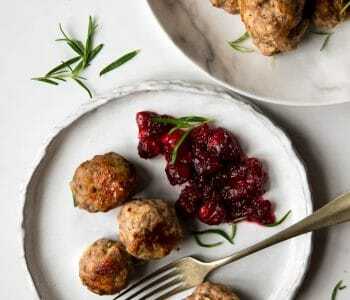 A great idea to stuff them with sausage to make them more filling.